A SOCIAL NETWORKING service is a platform to build social networks or social relations among people who, share interests, activities, backgrounds or real-life connections. A social network service consists of a representation of each user (often a profile), his social links, and a variety of additional services. Social networking is web-based services that allow individuals to create a public profile, to create a list of users with whom to share connection, and view and cross the connections within the system. Most social network services are web-based and provide means for users to interact over the Internet, such as e-mail and instant messaging. 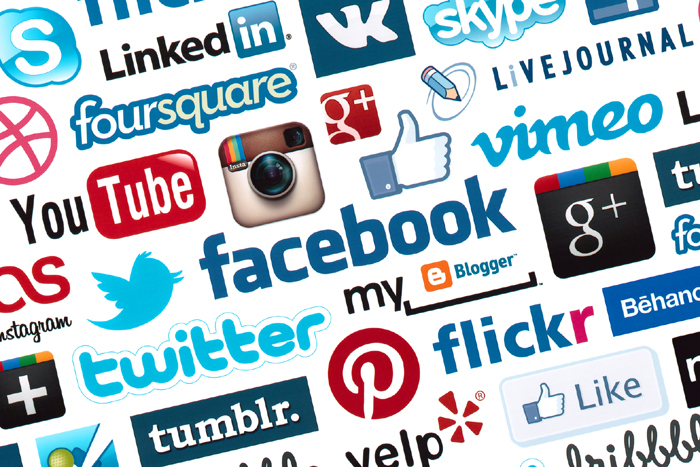 Social network sites are varied and they incorporate new information and communication tools such as, mobile connectivity, photo/video/sharing and blogging. Online community services are sometimes considered as a social network service, though in a broader sense, social network service usually means an individual-centered service whereas online community services are group-centered. Social networking sites allow users to share ideas, pictures, posts, activities, events, interests with people in their network. A SMALL WORLD | ASW - "Founded in 2004 as one of the first social networks, ASMALLWORLD re-launched in the spring of 2013 as a subscription-based ($105 annually) international members-only travel and social club. ASMALLWORLD offers its members content, privileges, and community in over 100 cities around the world. Our membership comprises internationally-minded people committed to opening their lives to each other and ensuring that, above all else, members can live like locals wherever they go. ASMALLWORLD hosts an average of 50 international events per month and offers member benefits from over 500 luxury partners. As a member-vetted community, ASMALLWORLD cultivates a distinct sense of trust atypical to digital platforms. Membership requires an invitation from an existing member or an approved membership application by our international committee of trustees." AERO - "The place where you can meet people, make friends, share photos, chat and much more!" AFFLUENCE.ORG - the exclusive organization of the world's wealthiest people. AIM - instant message your online buddies for free. ARENA365 - helps you, your team and your friends plan, communicate and reach goals within sport and active living. ASIANAVE - your place to meet and connect with Asians around the country. AUDIOBOO - the iPhone audio blogging app. BEBO - "Blog Early, Blog Often". Hottest bands, sexiest celebs and fresh new videos. Keep track of friends on other social sites from one place. Find friends and invite your network to join. BEST OF ALL WORLDS - "Next Generation Social Media." BIZ SUGAR - social bookmarking and networking site for small business and medium-sized business owners and managers. It allows you to submit, share and vote for the best business information links on the Internet. BLEETBOX - "Make any site social." Browser based chat application that allows you to chat with anyone, about anything, anywhere on the Web. "We want you to be able to: Discover and share anything you find interesting on the Web. Find and chat live with other people that have the same interests as you. Find, follow and create the latest news and trends." BLIPPY - "Blippy is a fun and easy way to see and discuss what everyone is buying." A social media "sharing" site for users to post and follow each other's updates about their purchases of goods and services. It has been described as the "Twitter of personal finance". BLOGGER - create your free blog. Share your thoughts, photos, and more with your friends and the world. BOARDLITE - "Discuss The Latest News and Trends." BRAINIFY - academic social bookmarking. Brainify is academic social bookmarking and networking for college and university students. If you are looking for the best sites and a great community to help with your courses, this is the place for you. CAMYOO - photo and video sharing site devoted to all the picture and video takers, lovers and critics! CARE2 - the largest online community of people making a difference in healthy and green living, human rights and animal welfare. CBOX - free tagboard and chat widget for your site. CHATROULETTE - a website which pairs random strangers for webcam-based conversations. Visitors to the website randomly begin an online stranger chat (video and text) with another visitor. At any point, either user may leave the current chat and initiate another random connection. CHIQ - social network of trendsetters. Cinemagram - application that provides its users with a beautiful and creative way to animate photos. Animate small portions of you photo to create a magical image that’s part-photo and part-video. Apply filters and share your masterful and hilarious creations with your friends and the Cinemagram community. CLASSICAL PLACE - the social network for classical music. CLASSMATES.COM - find friends from college, military, workplace. CROWDGATHER - "Our rapidly growing network allows forum owners, forum goers, and marketers to interact and develop deep, meaningful ties." DESIGNMOO - a network of designers and community resources and provide a centralized location for finding great-looking free design resources. DIGZIGN - a place for professional or wannabe designers — or simply for those who love design — to discover and share design related content from anywhere on the web. DIPDIVE - create your own Dipdive identity: upload pictures, videos, audio, and blogs to your personal profile to let Dipdivers know what you're all about. DIASPORA - "Share what you want, with whom you want." Lets you sort your connections into groups called aspects. Unique to Diaspora, aspects ensure that your photos, stories and jokes are shared only with the people you intend. DOSTI - Indian social networking. Ello - since 2014. Ad-free social networking service. "Ello is a simple, beautiful, and ad-free social network created by a small group of artists and designers. We originally built Ello as a private social network. Over time, so many people wanted to join Ello that we built a public version of Ello for everyone to use." EONS - lovin' life on the flip side. Eter9 - "Living Cyberspace." A social network site that will post for you 24/7 even after you die based on your behavior. EXPAT NETWORK - expat jobs abroad. FACEBOOK - "Giving people the power to share and make the world more open and connected." Launched in February 2004, owned and operated by Facebook, Inc. As of September 2012, Facebook has over one billion active users, more than half of whom use Facebook on a mobile device. FAME GAME - a rapidly-growing website that maps and analyzes your social connections and media attention to help you promote meaningful ideas, people, and organizations in culture. FANBOX - "The world's largest mobile community." FanBox enables people to buy, sell, and promote their digital content through web & mobile technologies. FARK - is a news aggregator and an edited social networking news site. FAVES - "Sites you'll love, from people like you." Social bookmarking and networking software that installs a single browser button for users to "fave" a webpage, making a link to the page part of their Faves profile. FAVORITES - upload and share your own videos with the world. FLATTR - Flattr is a social micropayment platform that lets you show love for the things you like. Flipboard - social-network aggregation, magazine-format application software for Android and iOS. It collects the content of social media and other websites and presents it in magazine format and allows users to "flip" through their social-networking feeds and feeds from websites that have partnered with the company. FLIXTER - "Watch movies. Tell friends." Flixter is a community for movie fans of all shapes and sizes. Whether you are a die-hard horror fan or lover of romantic comedies (or both), Flixster is a place where you can find others who share your taste and through them discover new movies that you will love. FOURSQUARE - location-based social networking website, software for mobile devices, and game. Users "check-in" at venues using text messaging or a device specific application. FRIEND FEED - enables you to keep up-to-date on the web pages, photos, videos and music that your friends and family are sharing. It offers a unique way to discover and discuss information among friends. FRIENDSITE - social bookmarking. "The Free Site Where Friends Connect With New Friends." FUNNY OR DIE - a comedy video website that combines user generated content with original, exclusive content. The site is a place where celebrities, established and up-and-coming comedians and regular users can all put up stuff they think is funny. Gifboom - "Express yourself in motion. Use the GifBoom app to take a series of pictures, add effects, texts, and comments. Then, share it on gifboom and other social networks!" Glogster - "Poster yourself." Social network that allows users to create free interactive posters, or Glogs. A "Glog", short for "graphics blog", is an interactive multimedia image. It looks like a poster, but readers can interact with the content. GOOGLE+ - "Real life sharing." Google's new social network. GOOGLE BUZZ - social networking and messaging tool from Google that is integrated into the company's web-based email program, Gmail. Users can share links, photos, videos, status messages and comments organized in "conversations" and visible in the user's inbox. GOOGLE BUZZ FOR MOBILE - see what's going on nearby, post a message tagged with your location, and follow your friends on the go. GOOGLE FRIEND CONNECT - grow traffic by adding social features to your site. GOWALLA - "Discover, capture and share places and events with your friends." GREE - the third largest social networking site in Japan. HI5 - an international social network with a local flavor. It enables members to stay connected, share their lives, and learn what's happening around them. ICQ - whether you want a personal communication tool or to target your campaigns to a young and captive audience, ICQ is the solution. IDENTI.CA - a social microblogging service similar to Twitter, built on open source tools and open standards. Allows users to send text-based posts up to 140 characters. ILIKE - "Do you love music? Get personalized concert alerts from your favorite artists in iTunes. Share playlists and recommendations with friends. Join over 50 million music lovers across Facebook, Bebo, Orkut, hi5, and iGoogle." INSTAGRAM - "Fast beautiful photo sharing." Online photo-sharing and social networking service that enables its users to take a picture, apply a digital filter to it, and share it on a variety of social networking services, including its own. A distinctive feature is that it confines photos to a square shape, similar to Kodak Instamatic and Polaroid images, in contrast to the 4:3 aspect ratio typically used by mobile device cameras. JAIKU - social networking, micro-blogging and lifestreaming service comparable to Twitter. KLOUT - "Discover and be recognized for how you influence the world." Provides social media analytics to measure a user's influence across his or her social network. The analysis is done on data taken from sites such as Twitter, Facebook, and Google+, and measures the size of a person's network, the content created, and purports to measure how other people interact with that content. LAST.FM - "Last.fm is a music service that learns what you love... Every track you play will tell your Last.fm profile something about what you like. It can connect you to other people who like what you like - and recommend songs from their music collections and yours too." LINKEDIN - "Over 225 million professionals use LinkedIn to exchange information, ideas and opportunities." The world's largest business network. LIVE LEAK - "Redefining the Media." Video sharing website that lets users post and share videos. Liveleak places emphasis on current events, politics and reality-based footage such as war scenes from various parts of the world. LIVE SPACES - access Hotmail, Messenger and Xbox LIVE. LIVEJOURNAL - since 1999. "It's fast, fun, and free!". Virtual community where Internet users can keep a blog, journal or diary. LiveJournal is also the name of the free and open source server software that was designed to run the LiveJournal virtual community. Available in 32 languages. LOCKERZ - founded in 2009. "Get rewarded for what you love to do online." Lockerz’ mission is to be the homepage for men and women ages 13 to 30, building a community of trendsetters and tastemakers who love to shop, play and connect on the Web. As a members-only site, Lockerz has grown to nearly 19 million members worldwide, offering major discounts on the best fashions, electronics, music and more. Mewing: what is the YouTube craze that claims to reshape your face? - "The practice involves of keeping the tongue on the roof of the mouth – but some say it’s leading people down ‘a new road of obsession’." MIGENTE - "Your home for what's relevant to you & your community." MIXI - the biggest social networking site in Japan. MIXX - registered users of Mixx can submit great content, vote for their favorites and mixx it up by adding comments and making friends. MULTIPLY - secure, family-friendly media sharing. MUMSNET - a British community website set up by mothers to give advice on parenting and family issues. MY.ARFIE - show off your pets on Dogpile's Online Community! MY BLOG LOG - the source for all things. MY NIKKI BEACH - the Jet Set social network. MY(SPACE) - social networking website with an interactive, user-submitted network of friends, personal profiles, blogs, groups, photos, music, and videos for teenagers and adults internationally. MYBATANGA - encuentra amigos, crea estaciones de Internet radio, sube fotos y más. NAYMZ - reputation management and networking for professionals. Netropolitan - "Online country club for people with more money than time hungry for a place to communicate with like-minded people." Founded on September 16, 2014 by James Touchi-Peters. The Netropolitan Club is a completely private and extremely secure online environment. Aside from the login screen, the whole service is inaccessible from the public Internet; we display absolutely no third-party advertising; we do not sell or give away any member data; and all transmissions to and from the service are encrypted. We cannot guarantee you absolute security and privacy; but Netropolitan is as secure a social environment that you will find online, anywhere. First year membership fee is US$9,000. Every year-long subscription after that is US$3,000. NEWSLE - "News about your people. Know your network. When your friends make the news, we make sure you know." NING - lets you create and join new social networks for your interests and passions. OMEGLE - used for talking to strangers and "meeting new friends" via stranger chat. The service randomly pairs up users online into one-on-one chat windows, where they can chat anonymously using the handles "You" and "Stranger"; either party can disconnect at any time. OPEN SOCIAL - defines a common API for social applications across multiple websites. ORKUT - social networking and discussion site operated by Google. Parlio - "A community for the curious, civil, and open minded." PHEED - "Express yourself." Launched on October 12, 2012. "We offer the standard sharing features such as text, photos and videos, but decided to spice it up a little by adding new stuff like voice-notes, audio clips and live-broadcasting. Pheed gives you the option to monetize either by applying a monthly subscription fee to your channel or setting a pay-per-view live broadcast event. In both cases, you select the pricing and earn directly. Or, you can always share and hang out for free, it's up to you." PHOTOBUCKET - offers image hosting, free photo sharing and video sharing. Upload your photos, host your videos, and share them with friends and family. PICASA - a software download from Google that helps you organize, edit, and share your photos. It's free, and easy to use. PING -"A social network for music." Set your inner groupie free by following your favorite artists on Ping and friends to discover the music they're talking about, listening to, and downloading. Ping is built into the iTunes app on iPhone and iPod touch. So you can see artist updates from anywhere. PING.FM - "Update all of your social networks at once!" Free social networking and micro-blogging web service that enables users to post to multiple social networks simultaneously. PINTEREST - "Pinterest is an online pinboard. Organize and share things you love." Pinboard-style social photo sharing website that allows users to create and manage theme-based image collections such as events, interests, hobbies, and more. Users can browse other pinboards for inspiration, 're-pin' images to their own collections or 'like' photos. PLAXO - "Your Address Book For Life." Online "smart, socially connected address book" and social networking service. PLURK - "your life, on the line." Free social networking and micro-blogging service that allows users to send updates (otherwise known as plurks) through short messages or links, which can be up to 140 text characters in length. POSTEROUS - "Share it Your Way for Free." Simple blogging platform started in May 2008. It supports integrated and automatic posting to other social media tools such as Flickr, Twitter, and Facebook, a built-in Google Analytics package, and custom themes. QUBE - invitation-only social and business network. Qube from Quintessentially is the ultimate Social and Business Network for those who enjoy the finer things in life. REDDIT - a social news website. "What's new online!" Keep up with the latest development updates, community announcements, and general reddit tomfoolery. RICH GIRLS CLUB - "Place where you want to be!" SALAMWORD - "Salamworld is a global social network based on Islamic idea of "collaboration". Salamworld allows to express your individuality through different communities. Salamworld is the chance for every user to claim about its social integrity and interests." SCRIBD - the largest social publishing company in the world — the website where more than 60 million people each month discover and share original writings and documents. SECOND LIFE - a free online virtual world imagined and created by its Residents. From the moment you enter Second Life, you'll discover a fast-growing digital world filled with people, entertainment, experiences and opportunity. SEESMIC - stay connected and share information with your friends. Sina Weibo - since 2009. Chinese microblogging (weibo) website. Akin to a hybrid of Twitter and Facebook, it is one of the most popular sites in China, in use by well over 30% of Internet users, with a market penetration similar to the United States' Twitter. SKYROCK - social networking site offering its members a free web space where they can create a blog, add a profile, and exchange messages with other registered members. The site also offers a specific space for members who create blogs showcasing their original musical compositions. SLURL - location-based linking in Second Life. SNAPCHAT - "Real-time Picture Chatting for iOS and Android." Photo messaging application. Using the app, users can take photos, record videos, add text and drawings, and send them to a controlled list of recipients. Users can set a time limit for how long recipients can view their photos, up to 10 seconds, after which they will disappear. Socialcam - "The easiest way to take and share videos." Mobile social video application for iPhone and Android, that was launched March 7, 2011. SOCIALTEXT - private "Twitter" network for you and your co-workers, free. SOUND CLOUD - "Share Your Sounds. SoundCloud is the world’s leading social sound platform where anyone can create sounds and share them everywhere. Recording and uploading sounds to SoundCloud lets people easily share them privately with their friends or publicly to blogs, sites and social networks. It takes just a click to share sounds to Twitter, Tumblr, Facebook and Foursquare. SoundCloud can be accessed anywhere using the official iPhone and Android apps, as well as hundreds of creation and sharing apps built on the SoundCloud platform. TECHNERD.COM - "Champion Your Dreams - Your Skills - Your Future." A way to get individuals & there ideas together. Allow communication among members on various Technical skills, disciplines, products, & services. To begin building an online community of members dedicated to exchange & communication of ideas & knowledge. To facilitate the exchange of ideas. TECHNORATI - help bloggers to succeed by collecting, highlighting, and distributing the online global conversation. The Girls' Lounge - "Confidence is Beautiful." A 'go to' destination at industry conferences for women to connect, collaborate and inspire each other. Every day, we support and mentor women to find their voice, embrace their feminine leadership powers and work together to transform corporate culture for this and future generations. Together, we are making meaningful strides to effect real change for real women. THIS NEXT - recommend, share and discover great products. "We are a community of shoppers sharing our best finds from across the web. We are passionate about new, unique, and interesting products that enable and enrich our lives. ThisNext is a place where you can find others who share your taste and through them discover new things that you will love. By harnessing the collective wisdom of our community, ThisNext is invaluable for tastemakers and thought leaders who turn to ThisNext to find the products and trends that are shaping their world." Tinder - "It Starts Here. Tinder is how people meet. It's like real life, but better." Since September 15, 2012. Tinder is a matchmaking app that facilitates communication between nearby users. It is used for dating as well as other kinds of networking. Tinder app users create accounts through using Facebook. Tinder maintains the first name of the user, and randomly selects 5 photos from the Profile Picture album of the user. The Tinder account can be modified by selecting different Facebook photos to be displayed and adding a short statement. The Tinder app also accesses the user's Facebook "likes" and "friends". When selecting other Tinder users to interact with, the app will show if the other user has any Facebook "friends" or "likes" in common with the user. Tinder users select "like" or "nope" to other users profiles. As the profile contains limited information, Tinder is well known for allowing users to judge other users based on appearance. If two users select "like" for one another, the match is made known to both users. At this point, users gain access to a message system exclusively through the app, allowing users to converse without sharing any extra personal information. TOTALPRESTIGE - "Business & Lifestyle Luxury Network. Serving Celebrities, High Net Worth Individuals And Corporations Since 1993." Totalprestige Community is a members-only community and a professional social network for entrepreneurs, professionals and luxury lifestyle aficionados. Described as "High Society Network," in The New York Post, "Il social-network per l'alta società," in Il Corriere della Sera, and defined as "A Facebook for the Filthy Rich," in Wired Magazine. TRENDSMAP - "Real-time local Twitter trends." TUMBLR - a blogging platform that allows users to post text, images, video, links, quotes, and audio to their tumblelog, a short-form blog. TWEETDECK - TweetDeck is your personal browser for staying in touch with what’s happening now, connecting you with your contacts across Twitter, Facebook and more. TWINITY - "Powered by Real Life." A 3D mirror world based on real cities and real people. The world’s first mirror world made of real people and real places. The virtual cities of Berlin and Singapore have already launched in Twinity, with London set to join them soon. TWITPIC - share photos on Twitter. TWITTER - is a micro-blogging service for friends, family, and co–workers to communicate and stay connected through the exchange of quick, frequent answers to one simple question: WHAT ARE YOU DOING? Also visit: The Big Juicy Twitter Guide, 5 Tips to Grow Your Twitter Presence, CoTweet: how business does twitter and Twitter 101: Guide for businesses. VIMEO - "Video Sharing For You." Vimeo is a respectful community of creative people who are passionate about sharing the videos they make. We provide the best tools and highest quality video in the universe. 3,400,000 members as of May, 2010. VK - since 2006. "VK is the largest European social network with more than a 100 million active users." The largest Russian social network in Europe with adult content. It is available in several languages, but is especially popular among Russian-speaking users, particularly in Russia, Belarus, Kazakhstan, Uzbekistan and Ukraine. Like other social networks, VK allows users to message each other publicly or privately, to create groups, public pages and events, share and tag images, audio and video, and to play browser-based games. As of November 2014, VK had at least 280 million accounts. WAZE - free social GPS application featuring turn-by-turn navigation, developed by the Israeli start-up Waze Mobile for GPS-enabled smartphones with a data plan. Waze supports Android, iPhone, Symbian, Windows Mobile (but not Windows Phone), and J2ME (RIM). Whisper - Share Secrets, Express Yourself, Meet New People. WINDOWS LIVE MESSENGER - (formerly named MSN Messenger) is an instant messaging client created by Microsoft. XING - find business contacts at the click of a mouse. YAHOO! BUZZ - community-based news article website, that combines the features of social bookmarking and syndication through a user interface that allows editorial control. Users can be allowed to publish their own news stories, and link to their own or another person's site that links to a full story of the information. Yik Yak - anonymous social media app. It is available for iOS and Android and it allows people to anonymously create and view posts within a 1.5 mile radius depending on how many other users are nearby. It differs from other anonymous sharing apps such as PostSecret and Whisper in that it is intended for sharing primarily with those in close proximity to the user, potentially making it more intimate and relevant for people reading the posts. All users have the ability to contribute to the stream by writing, responding, and up voting or down voting yaks. YOU TUBE - "Broadcast Yourself." Video-sharing website on which users can upload, share, and view videos. ZYNGA - "Connecting the world through games." Web 2.0-based social network game developer located in San Francisco, California, United States. The company develops browser-based games that work both stand-alone and as application widgets on social networking websites such as Facebook and MySpace. Cyber Shill - definition & explanation. Dunbar's number - suggested cognitive limit to the number of people with whom one can maintain stable social relationships. How to improve your business networking game - The Telegraph. HUBSPOT - "How to Use Facebook for Business." KLOUT - "The Standard for Influence." A website and mobile app that uses social media analytics to rank its users according to online social influence via the "Klout Score", which is a numerical value between 1 and 100. In determining the user score, Klout measures the size of a user's social media network (Twitter, Facebook, Google+, LinkedIn, Foursquare, Wikipedia, and Instagram) and correlates the content created to measure how other users interact with that content. OLD BOYS NETWORK - definition & explanation. PEER INDEX - "Understand Your Online Social Capital." SOCIAL CAPITAL - definition & explanation. SOCIAL NETWORKING SERVICE - Wikipedia. twiplomacy - definition & explanation. AFFLUENCE.ORG - an exclusive online social network for the affluent and influential aimed at forming a socially conscious, elite, and exclusive community that helps wealthy, influential, and affluent people make life better for both themselves and others. BILDERBERG - founded in 1954, Bilderberg is an annual conference designed to foster dialogue between Europe and North America. Every year, between 120-150 political leaders and experts from industry, finance, academia and the media are invited to take part in the conference. About two thirds of the participants come from Europe and the rest from North America; one third from politics and government and the rest from other fields. The conference is a forum for informal, off-the-record discussions about megatrends and the major issues facing the world. BILLIONAIRES ELITE - "An Exclusive Worldwide Network for the Elite. By invitation only!" BUZZHERD - social network for business owners. Buzzherd provides you with the tools to aggregate your business marketing efforts. It's your one-stop shop for creating your business buzz - then spreading it! CHAMBER.COM - an invitation-only community connecting leaders worldwide. CIRCLE OF BEAUTIFUL PEOPLE INTERNATIONAL - unique social network portal that assists with self discovery of the pure, innate elegance of each individual; regardless of origin, class, title, gender, etc . CONFRÉRIE DU SABRE D'OR - devoted to the act of sabrage and enjoyment of champagne! ECADEMY - social business network founded in 1998, a community that enables people to learn, network and develop their business with a "digital mindset" for effective economic growth. ELEQT - "Celebrate Life in Style." The most exclusive international social network for luxury lifestyle. Experience the summit of elite networking, offering you the opportunity to access the best possible business opportunities, to engage with international peers, get involved in mutually beneficial corporate deals, and have access to even greater luxury lifestyle benefits. ELEQT aims to be groundbreaking in its approach to social and business networking. EUROPA NOSTRA - "In 45 years Europa Nostra has built a network of more than 400 member and associate organisations from all over Europe. They represent millions of citizens supporting or working for heritage as volunteers and professionals. As a member of this growing network, you can share your ideas and exchange best practices with European colleagues." EUROPEAN ROUND TABLE OF INDUSTRIALISTS | ERT - brings together around 50 chief executives and chairmen of major multinational companies of European parentage, covering a wide range of industrial sectors. EXECUTIVES PLACE - with a confidential network of senior executives, Executives Place creates greater transparency to the world of executive search. Club benefits include: Free access to the only online and dynamic directory of search consultants, with the ability to rate the consultants and view ratings. Create exclusive discussion forums where the member can invite attendees based on their professional profile. Enjoy discounts in a variety of areas including luxury retail brands and professional services. EXPAT NETWORK - affiliate yourself with thousands of other working expats across the globe. FAST PITCH - A Professional Social Network for Business. "No Liking. No Poking. Just Business." FINROAD - "The Financial Markets Network." FinRoad is an international internet platform facilitating connections and business between Financial Markets Professionals. FRIENDS OF EUROPE - Brussels-based, not-for-profit think-tank for European Union policy analysis and debate. HENOKIENS ASSOCIATION - created in 1981, the objective of the Association is the development of its membership throughout the world around a common philosophy: the value of the concept of the family company, real alternative to the multinationals. Henokiens Association membership criteria are: company longevity – a minimum age of 200 years – and permanence – the family must be owner of the company or the majority share holder - one member of the founder must still manage the company or be a member of the board – and the company must be in good financial health. In addition, being modern is a final requirement. IFRI | Institut franÇais des relations internationales - (French Institute of International Relations) is the main independent research and debate institution dedicated to international affairs, based in Paris, France created in 1979. Ifri has since affirmed itself as one of the most established French think tanks. An integral part of the international think tank network, Ifri aims at gathering decision-makers and researchers to develop non-partisan and thorough research and debate on major contemporary international issues. IVY EXEC - "The Ivy Exec mentor network. Where meaningful conversations begin." Realize your potential. Ivy Exec gives you the resources, tools and confidence to compete in the global workplace. A network unlike any other. When you are accepted into Ivy Exec, you earn a place within a select community of 253,902 business leaders in 150 countries. You instantly become part of an elite, private network comprised of the most exceptional men and women. KIWANIS INTERNATIONAL - ordinary people performing extraordinary work: work to develop future generations of leaders. LEXPOSURE.NET - the leading networking and information website for the fashion and creative scene. Search the Directory with over 12.000 professional entries worldwide. LINK EXPATS - social networking website for expatriates. LINKEDFA - social network for Financial & Insurance Professionals and Investors to collaborate, grow business, and increase profits. LIONS CLUB INTERNATIONAL - the world's largest secular service organization with over 44,500 clubs and more than 1.3 million members in 203 countries around the world. LUX VIP - "The Independent Global Luxury-Business and Social Network for the Affluent." LUXURY SOCIETY - "Connecting, informing and inspiring the world's leading luxury professionals." Private business network and online publication, a trusted place for all luxury industry professionals in the world to meet, connect, stay informed, showcase their work, find experts, share ideas, ask questions, find jobs and make business. NAYMZ - "Complete Personal Brand Management." Professional social networking platform that allows users to network with other professionals and manage their online reputation. P1.CN - private network for China's social elite. Membership is by invitation only. "Our members share an international lifestyle, common values and interests. Through us our members can meet like-minded individuals, expand business networks, share experiences and participate in events. Currently our network consists of more than 500,000 individuals in Beijing, Shanghai and Hong Kong." POLICY NETWORK - London-based international thinktank and a leading platform for long-term strategic thinking, policymaking and international best practice, impacting on policy debates in the UK, Europe and the wider world. REFERRAL KEY - "Your Referral Network." With Referral Key, you can quickly and easily build a business network of referral associates who know and trust you, inviting them to exchange referrals with you. Once your associates accept your invitations to exchange referrals, they will begin sending you solid leads. RIVIERA BUSINESS CLUB - "The network for international businesspeople." We are an international association that connects with more then 1,200 international people of many different European and worldwide nationalities living and working on the French Riviera. Now in its 16th year of existence, The Riviera Business Club is now the largest international business network in the South of France. The Riviera Business Club is a non-profit organisation and our objective is to make contact easy between people looking for and people promoting English-speaking businesses and services on the Cote d'Azur. SELECT SOCIETY - ultimate business networking and luxury lifestyle. solaborate - "Be where Tech really matters." Solaborate is a social and collaboration platform dedicated to technology professionals and companies to connect, collaborate, discover opportunities, and create an ecosystem around products and services. Solaborate provides technology professionals a central place with the right tools and services to collaborate in real time. It's a new way for the tech community to be more productive. SOROPTIMIST INTERNATIONAL - a worldwide organization for women in management and professions. SPOKE - makes it easy for business people to discover and gain access to other business people via detailed contact information and professional networking. Provides access to over 60 million business people across 2.3 million companies. STRATUS REWARDS - a by-invitation only club catering to a relatively small number of people who appreciate priviliged access. As a member you earn points for every dollar spent on the card, and in turn, receive reciprocal benefits from a number of world-class niche lifestyle clubs and luxury oriented companies, redeem them for private jet travel, difficult to obtain items, unique services, rare auction items or life-inspiring experiences. THE BUTTON CLUB - global community that provides its members with networking opportunities and access to exclusive events and entertainment. THE LUXURY NETWORK - recently described as 'the next generation of marketing for luxury brands'. The Luxury Network's objective is simple: To facilitate co-operation and new business development between top-end companies under the umbrella of 'Affinity Marketing'. THE OTHER NETWORK WRITERS ROOM - "Inside the art, craft and business of writing." The brainchild of alternative comedy goddess Beth Lapides, who realized that a lot of brilliant TV writers' best work was literally gathering dust in the closet! THE ULC SOCIETY - the social network at the Ultimate Luxury Community "for the people passionated with the Luxury side of our Life." Tradeshift - since 2010. "A platform for all your business interactions." Web based business network and also a free invoicing platform. VIADEO - "Your network is more powerful than you think." Web 2.0 professional business-oriented online social networking platform with over 35 million members worldwide. WALPOLE - "British Luxury." Formed in 1990, Walpole is a non-profit-making organisation that furthers the interests of the British luxury industry by harnessing and sharing the collective knowledge, experience and resources of the membership. WAYN.COM - the fastest growing travel and lifestyle social networking community website in the UK. Present in 251 countries and membership of over 15 million. WELCOM - (World Economic Leaders COMmunity) interactive platform for those who wish to continue and reply at the World Economic Forum themes debats. WORLD ECONOMIC FORUM - founded 1971. Swiss non-profit foundation, based in Cologny, Geneva, Switzerland. "Commited to improving the state of the world." The foundation is funded by its 1,000-member companies. Each member company pays a basic annual membership fee of CHF 42,500 and a CHF 18,000 annual-meeting fee which covers the participation of its chief executive officer at the annual meeting. Organizes a series of regional meetings throughout the year. Best known for its five-day annual meeting in Davos, Switzerland. XING - the social global professional business network with more than 10 million members worldwide. Y'S MEN INTERNATIONAL - oriented to serving the worldwide YMCA, the largest non-governmental youth organisation. YOCTOCOSMOS - Yoctocosmos is a new exclusive network based in Monaco integrating the luxury lifestyle business world, international forums, think-tanks and select members and offering itself as a complete platform with professional tools and communications in the socio-professional world to the mutual benefit of its members. YOUNG PRESIDENTS' ORGANIZATION | YPO - the premier global leadership network.